All three leaders were working to not only withdraw US troops from Vietnam and let the Vietnamese decide their own future but to make peace with the Soviet Union and Cuba. 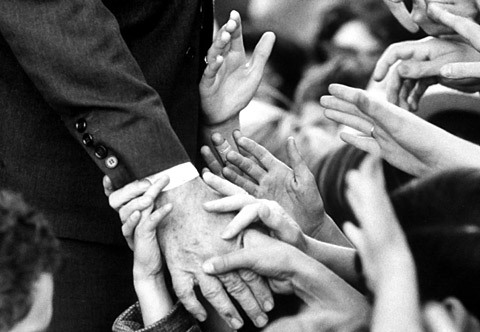 I rarely describe political leaders as revolutionary, visionary, even radical. But the coincidence in time of these three idealists is quite remarkable. I think our world would have been more sane and livable, and mostly at peace, if these leaders were not murdered for being incorruptible. 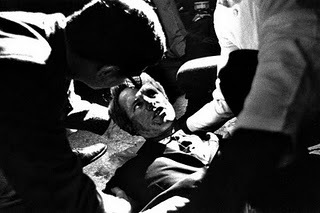 The inescapable conclusion deftly reached by overwhelming evidence is that a cabal of conspirators including Vice President Lyndon Baines Johnson, FBI chief J. Edgar Hoover and Texas oil millionaires orchestrated by the CIA and possibly involving the Italian-American Mafia which was targeted for investigation. Sound farfetched? Johnson got the ultimate prize, the Presidency. And the US stayed in Vietnam until 1975. Just as this information was suppressed in the USA, censorship in Thailand is revising Thai history. If you can’t find the information, of course, it never happened! Nowhere is this more apparent than the censorship surrounding the gunshot death of King Ananda Mahidol in 1946. The singular book about Ananda’s death, The Devil’s Discus by Rayne Kruger, has been banned in Thailand since its publication in 1964, merely for positing three scenarios: regicide, suicide or accident. An accident which, of course, was likely to involve both brothers. The Thai translation was banned by govt in 2007 but two underground printings are still in circulation and a Hong Kong reprint in English may be ordered here: http://www.abebooks.com/servlet/SearchResults?sts=t&tn=The+Devil%92s+Discus&x=70&y=8. Mere possession of these books is not illegal but selling them or giving them away may result in criminal charges. Why are Thais still risking their freedom to publish and distribute book which would absolutely result in lengthy prison terms? Extensive discussion of the Ananda death case may also be found on the New Mandala website here: http://asiapacific.anu.edu.au/newmandala/2008/05/29/the-devils-discus-in-thai/. The death of young King Ananda is a seminal event in Thai history yet it is not even taught to post-graduate students of history. Ananda’s death is the one event which must not be mentioned. 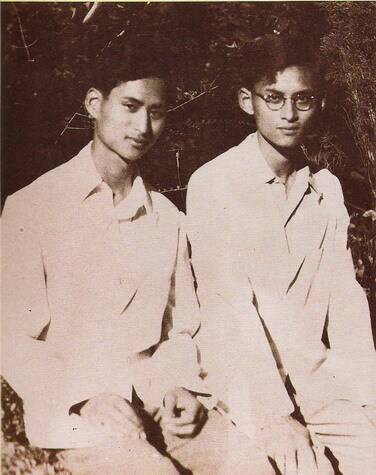 Two of the Thai 1932 revolutionary plotters to bring down the absolute monarchy and institute a Constitution were Pridi Banomyong and Plaek Philbulsongkram. Pridi, the founder of Thammasat University, was a statesman and intellectual. He drafted Thailand’s first constitution, led the Free Thai underground movement against the Japanese occupation forces and is widely considered to be the father of Thai democracy. Phibul was a military strongman who served two terms as prime minister from 1938 to 1942, for five years and 229 days, when he cooperated with the Japanese. Pridi was regent to the young King Ananda and served as prime minister for two terms in 1946 for only 152 days. Three palace servants, two pages of the royal bedchamber Chit Singhaseni, Bhut Pathamarin whose families had been in royal service for generations and who had served the King since childhood and Chaleo Pathumros, private secretary to the King, were arrested for the King’s murder after his death on June 9, 1946. However, only their presence in the palace and wildly circumstantial and contradictory evidence bears any link to Ananda’s death. Kruger: “A complete record of the trial does not exist. There is no transcript of the evidence. [In fact, there are no trial transcripts in Thai jurisprudence even today. Judges paraphrase for the record every motion presented in their courts. This results in not much upon which to base a subsequent appeal.] The judges relied on their own notes in arriving at a verdict.” If it were even preserved, the metre-tall stack of prosecution documents has not been accessible to any researcher. This is quite remarkable considering both the Princess Mother and Ananda’s elder brother, now King Bhumibol, testified in the trial. The trial did not begin until September 28, 1948 in Room 24, before a thousand spectators, with five judges rather than the usual three, in which the men were accused of plotting with others in the King’s death, a conspiracy to murder. During this interval, defence counsel Thong-in Bhuribbad, former Minister of Industry, and Thawin Udon, former senator, were arrested. Both were prominent in the wartime Free Thai effort against the Japanese occupation and therefore associated with the Pridi camp. 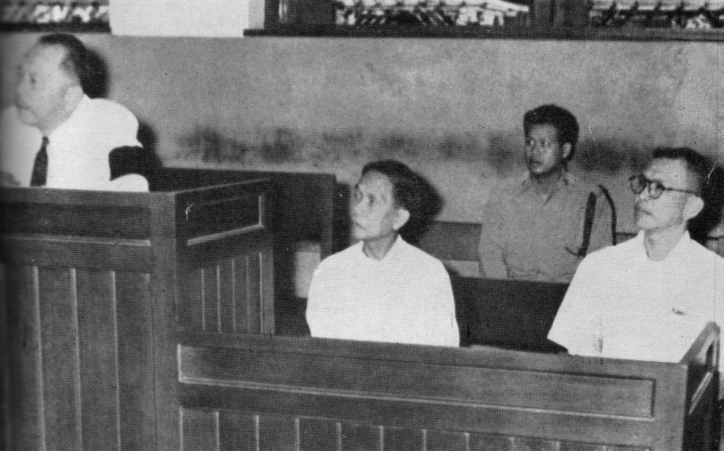 The murders took place in March 1949 while in police custody in retaliation for the ministers’ suspected involvement in an abortive coup d’etat against Phibulsongkhram’s military government. Would the trial have gone differently for the accused if their lawyers had not been murdered? Judgement was not rendered until September 27, 1951, after a full three years of trial. The case against Chaleo was dismissed, Bhut was found not guilty and Chit was found guilty and sentenced to death by the court of first instance. However, the Appeals Court again freed Chaleo but added Bhut for execution with Chit. Only the Dikka supreme court found all three guilty of murder. Chaleo, Chit and Bhut were executed at Bang Kwang central prison on February 16, 1955, nine years after King Ananda’s death. They were almost certainly innocent. The murderer was alleged to be Lt. Vacharachai Chaisitthiwet, appointed aide-de-camp by the regent, Pridi. However, Vacharai had fled Thailand with his mentor. Vacharachai’s brother translated The Devil’s Discus into Thai in an effort to clear his brother’s name. Pridi was accused as the mastermind behind the King’s death in a carefully orchestrated campaign to manipulate a grieving Thai public. 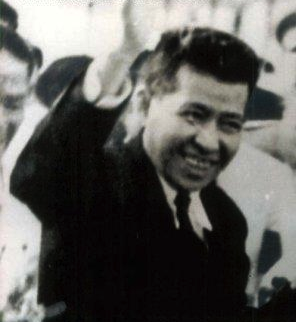 Pridi Banomyong, the Father of Thai Democracy, died in exile in France on May 2, 1983. He was never allowed to return to Thailand and even his ashes were not permitted to return to Thai soil. We are now greatly removed from the emotions and sensationalism surrounded the death of King Ananda. Nevertheless, the young king’s death still troubles us greatly and is still a cause for distrust of subsequent Thai govts and courts. The spectre of King Ananda still casts a dark shadow over Thai democracy. History begs one question which we cannot repeat here. Even its hyperlinking may result in a prison sentence. The contemporaneous “Memorandum of Conversation, U.S. Embassy Bangkok, March 31, 1948” http://www.zenjournalist.com/2011/10/memorandum-of-conversation-u-s-embassy-bangkok-march-31-1948/ is between former Thai Prime Minister Luang Thamrong Nawasawat and US Ambassador Edwin F. Stanton. I think nothing would be gained by finding PM Thamrong’s broad allegation to be true. More than 60 years of expiation have already occurred. But we’re human—can we not still question how would King Ananda’s reign have altered our Thailand of today? When one asks how the modern world might be different if President Kennedy had lived to end the American war on Vietnam, the cold war with the Soviet Union, the Cuban embargo, how would America be different if his brother, Bobby, had lived to enforce civil rights and equality between black and white, one is faced with another question. How would Thailand and our sphere be different were we ruled by Ananda rather than Bhumbibol? Would military influence have been sidelined? Would we have rejected American bases for bombing Laos, Cambodia, Vietnam? Would American soldiers’ bargirls be rice farmers’ grandmothers? Would we have home-grown human rights and civil liberties to keep pace with the modern world? It has been often been said that Americans can handle the truth. I’m not so sure of that—we have been lied to by government so long we’re used to it. But I know in my heart that Thai citizens are no less able to handle the truth. All the players, save one, who are in a personal position to unravel the truth of the death of our young king, King Bhumibol’s mother, Princess Mother Somdet Ya, the King’s elder sister, Princess Galyani Vadhana, Pridi and Phibul, are all dead. The only living person with direct knowledge of the death of his elder brother is King Bhumibol himself. Legal precedent has been established as His Majesty has already been once been called upon to testify. We Thais deserve the truth and the truth may set us free or, at least, set us at ease, put our minds at rest, give us the possibility of faith in democracy. For a more thorough analysis of this event, see Part 3, “The Tragedy of King Bhumibol” by Andrew MacGregor Marshall here: http://www.zenjournalist.com/2012/01/the-tragedy-of-king-bhumibol-iii/. There has been remarkable progress in modern investigation and jurisprudence and forensic science since 1946. We think it is time to put this revision of history and miscarriage of justice to rest. The deaths of Chit, Bhut and Chaleo, as well as the deaths under suspicion of Pridi and Vacharachai, are no less important than the death of King Ananda. We owe a debt of history to their descendants, regardless of the outcome. We are in process of opening consultation with the Law Faculty of Thammasat University and Thailand’s National Human Rights Commission to initiate this inquiry. The DVDs may be purchased inexpensively here: Parts 1 − 5: http://www.wingtv.net/evidenceofrevision.html. Part 6: http://www.wingtv.net/martinlutherking.html. Evidence of Revision may be watched on or downloaded from YouTube here: http://www.youtube.com/results?search_query=Evidence+of+Revision&oq=Evidence+of+Revision&aq=f&aqi=g10&aql=&gs_sm=e&gs_upl=1682l6940l0l7236l20l20l0l9l9l0l239l1075l7.3.1l11l0. Torrents for Parts 1 − 5 are here: http://www.seedpeer.me/details/1832195/EVIDENCE-OF-REVISION—PARTS-1—5.html and Part 6 here: http://www.seedpeer.me/details/1858527/EVIDENCE-OF-REVISION—PART-6—MLK-CONSPIRATUS.html. 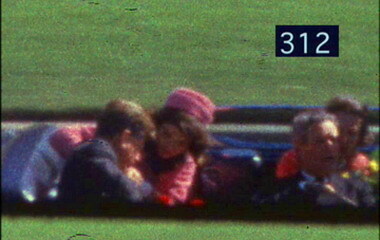 A DVD set of episodes 1-6 may be purchased inexpensively here: http://shop.history.com/the-men-who-killed-kennedy-dvd-set/detail.php?p=66695. We have not seen a DVD version of Parts 7-9 for sale.